Having a good and quality business software may improve your company in many ways. Many of the good business software programs are with limited features, or with other words they are not that broad. They only cover few parts of your business. Today, we are going to present you one broad, detailed and software with various numerous features. Ecount ERP will enable you inventory, production, sales, purchasing and even payroll features. So, lets see what Ecount ERP is all about and what are its key features. Ecount is web based software, which first of all means that you can access it from any computer that has internet connection. Also, all of your information is located on the internet, so you can never lose it, the company's info is safely stored in the cloud. The incredible inventory module will improve the management of your inventory. Ecount ERP includes bar code software, location management, after-sales management, serial number management, customizable reports, inventory adjustment and even customer activity and insight. Additionally, as expected, it will enable you to manage your production process. Some of the features related to their production management are: BOM Management (bills of material), Process Management, Management Fields, Quality Control, Defect Management, Cost Management, Profit Management and Work Order Management. When it comes to sales Ecount ERP will enable you to: Sales Flow, Accounts Receivable Management, Sales Plan, Price Management and Sales Slips Management. On the other hand you can also manage the purchasing with these features: purchase planning, purchase flow management, payables management, entry screens and international trade management. The key functions that are related to accounting are: Executive Reports, Easy Entry, Notes Management, Import Cost Management, Department & Project Budget Management and Fixed Asset Management. As for the payrolls, Ecount will enable you easy payroll management where you can create payroll for employees in multiple departments and with different payment frequencies and wages. All earnings and deductions are customizable. So that's it, it is obvious that Ecount ERP is extremely quality, useful and with countless features. The fact that the separate parts are integrated is one more fact that you should definitely check out Ecount ERP. There are so many other features that weren't included in this review. You can check them here and try the trial version of Ecount ERP. Having a great and quality relations with your customers is always one of the best things to do. The engaged and loyal customers are always the best customers. In a lot of ways you can benefit from the great relationship you build with them. One of the best customer service software is surely SherpaDesk Customer Service Software. These dedicated group of professionals created this excellent IT & SaaS customer support software based on their knowledge and experience. More then 300 organizations already use SherpaDesk. That is another proof for the quality of this software. So, lets see what this software has to offer and how can you benefit from it. Each project or account you create will get various billing options depending on the task type. What is great is that the billing plans they offer are very simple and very flexible. We all know how the reviewing of your history with the customer can help in maintaining a good relationship. SherpaDesk will enable you to see the history and all activities related to certain person and account. This SaaS customer support software will also enable you to keep database of all of your assets. 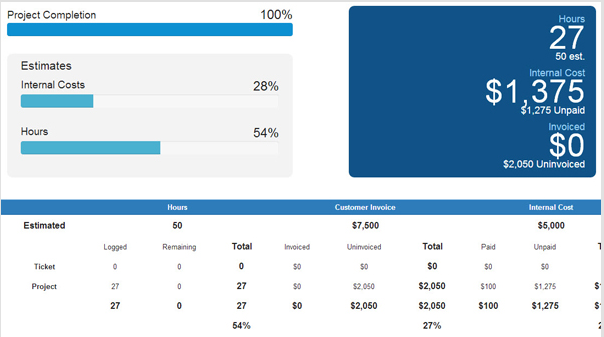 That also means that you can see the real time cost reports on all of your assets. When you create certain project you can create and time of work it is going to take you to complete. You will be able to setup estimated amount of hours, estimated cost.estimated value and time of work it is going to take to complete. What is interesting is that after you set up the project you can create to do list to plan it as well. 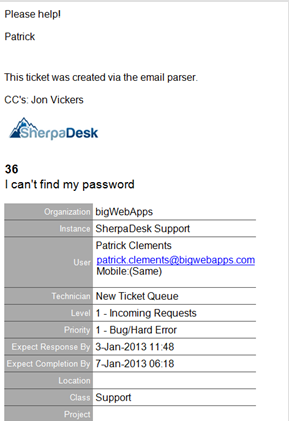 With their SherpaDesk Email Parsing you will be able to integrate SherpaDesk with your email. Thus, you can easily engage with your customers and even create tickets with your own support email. On top of that, you can update your tickets with replies and confirm that the tickets are resolved. Hope this explanation will help you to understand the features this quality customer support software offers. Today we are going to present you one incredible STEM educational software that will really help you in your Physics and Astronomy classes. Basically, this program is perfect for the students of Physics, Earth Science, Astronomy or even for Mechanical engineers. So, lets see what are the features that Creative Physics offers and how can you benefit from it as a student or even as a teacher. Basically, the software has goal to help students with studying and make it a lot easier to learn complex subjects like: vector addition, geometry, trigonometry, calculus etc. Also, Classic Mechanics is one of the things that Creative Physics does and relates to. 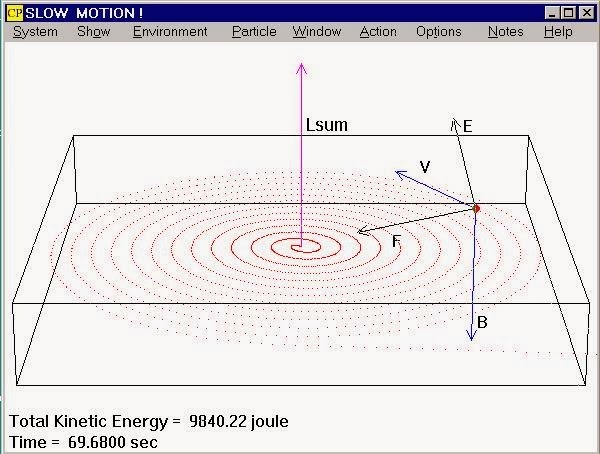 The 3D presentations and the interactions will surely help physics students to learn and understand faster. This team of highly professional experts constantly upgrades the software and they are 100% dedicated in making it perfect. This further solidifies the expertise of this professional and enthusiastic group of people. Talking to the one of the creators from Stewart Software, I acknowledged that they plan to help the community by donating their program to schools in areas of poverty to help advance the educational needs of children and students. That totally earned my respect. 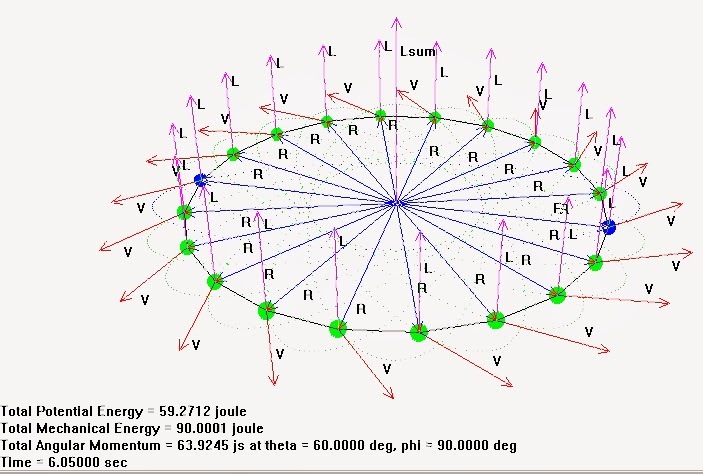 It is interesting that older versions of Creative Physics were used in the 80's and 90's in many University Level Physics Labs around the USA and world and it had showcased at the American Association of Physics Teachers (AAPT) meetings at that time. This is another prove for the expertise of this professional and enthusiastic group of people. The software is so light and fast that you will be surely amazed. It uses very small portions of RAM memory, it is simple and fast to manage. You can run it on weaker and older computers with no problem, because it supports various Windows versions, from XP to Windows 8. Creative Physics is free for the first 15 days and you can get it here. We have to be honest, today the trivia sports games are very rare and very often they are poor quality, spammy games. Today, we are going to present you one really quality, interesting and addictive sports trivia game, that is relatively new and available for free on the App Store. Hat Trick daily Sport Trivia with Prizes will test your sports knowledge and it will give you everyday prizes if you are the best. The questions that this developers created are really interesting and well thought. This "endless trivia" as the creator calls this game, tends not the repeat questions and to ask detailed question that are not cliche like you can find in the other boring sport trivia games. This guys are passionate sport fans and they wanted to create competitive, detailed and fun iOS app that the real sport fans would really enjoy. They even organize daily competitions, you will get 20 questions and you got 25 seconds per question. You can win a hat everyday, if you are the fastest and the best sport trivia expert. This app includes all major sport (except soccer) and that makes it even more exciting. 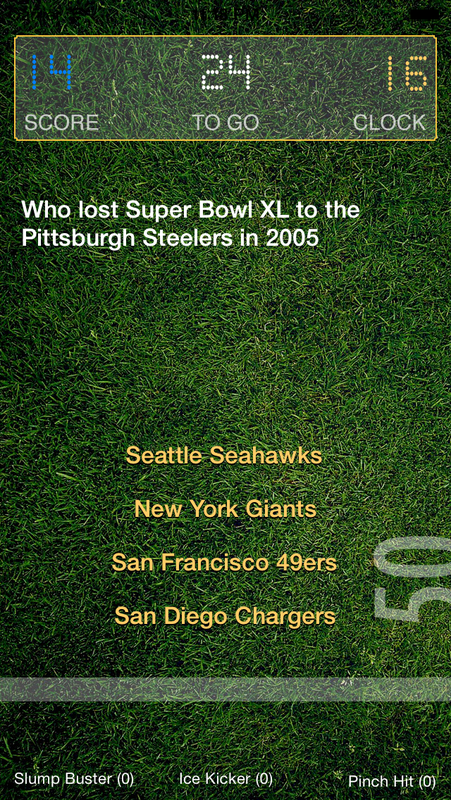 I really learned some facts for my favorite teams that I didn't know. The UI of the app is really neat and beautifully designed. Everything is simple, nicely designed and flawless. That makes your playing even more enjoyable. So, if you are a sports fan, then I dare you to try if you are an expert, or just a regular sports fan. You can download it from the link bellow or check out more about the game here. Forwarding the RSS feeds of your favorite websites to your email is beneficial and useful to people who use their email account very often. It can save you time and reasonable data if you have limited 3G contract. There are many tutorials and tips on how to this, but we will present you probably the easiest and most customizable way to forward RSS to email. I hope you have heard of IFTTT. IFTTT means If then then that, and it is a popular website that lets you create recipes which will do automatically things for you. One of the many channels that this service offers is to forward the RSS feed of different websites to your gmail. First you need to register to IFTTT, which is relatively simple step. However, be sure to confirm the registration right away. Then you can forward the RSS in a few simple steps. First, You need to add the feed URL of the desired website. Then you need to add your email. This website also enables you some other cool customization features. It enables you to add subject to every RSS feed, thus you can personalize and categorize every feed. This will make you even more organized and productive. On top of that, you can change the body of the feed articles and include attachment URL. After you fill out all of this needed information, you just need to click “use this recipe” and you will start receiving the feed posts on your email. It is just easy as that. I have been using this service few weeks and I think that it will really help the people that need and want it the most. I hope you liked this simple tip on how to forward RSS to email. Having a nice, easy to use rich text creator is always a good thing to have on your iOS devices. 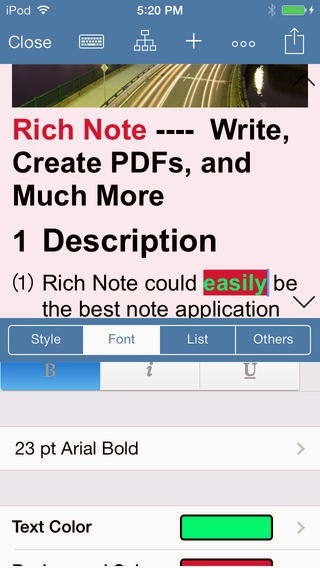 Today we are going to present you one of the best - Rich Note & PDF Maker. This is truly incredible app with tons of customization features, great intuitive UI and beautiful design. So, lets see what this app has to offer. - Formatting of your paragraphs, adding fonts and changing size of headings. - Creating bullet (3 types) and numbered (6 types) lists. - Changing font, size or properties (italic, bold) or highlighting text color. - Changing of background color. - Inserting images or drawing images. - Find and replace, and what is also great there is spell check support. Basically, this app will give you all the features of the great desktop document editors, but in this case you will have it all on your touchscreen and you will be able to edit and create your notes them with touches on the astonishing screen of the iOS devices. On top of everything, you can directly convert files from notes to PDF or HTML/webarchive and share them to other devices. There is possibility to sync the files with Dropbox as well, so you will be sure to not lose any document. If you want to check the additional features of the app and see how good the app is watch the video bellow. However, if you create notes and PDF files very often, I think that you will not find better app on the App Store. Today we are going to present you a game for of you poker lovers out there. 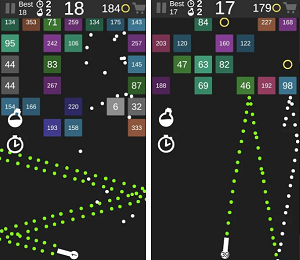 It is an iOS game available on the app store for free and there are no ads to distract you. You can play it on your iPhone, iPad or you can play it on Facebook as well. 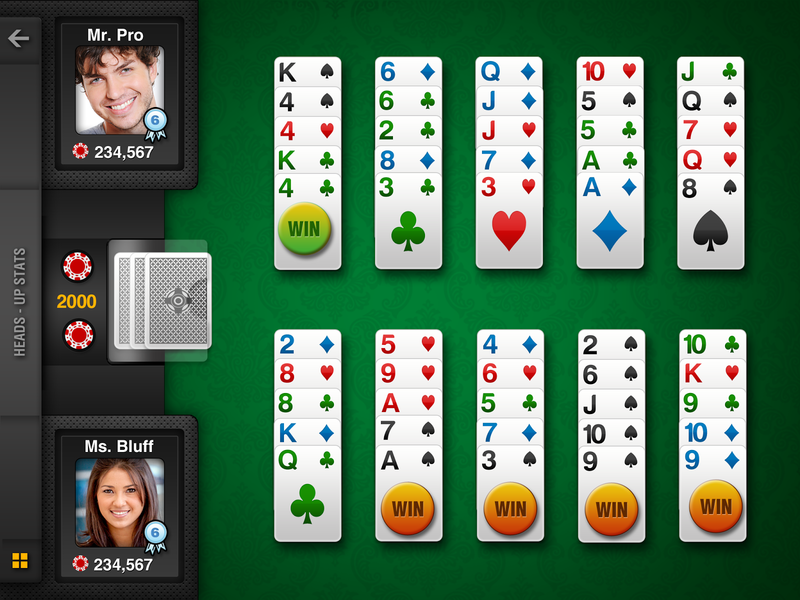 What is also great is that you can sync the game, so you can start Five-O Poker on your iPhone and finish it on your PC. So, lets see what this game is all about. Five-O Poker is unique poker experience. It is a new poker format created to entertain you. 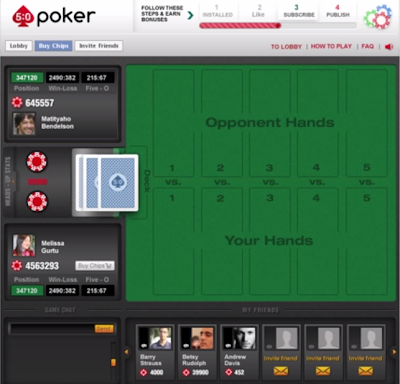 It will enable you to enjoy the poker game one on one with your friends or with random people. In the next few paragraphs I will try to explain the game for you and show you why it is unique and fun. You and your opponent will get 5 cards that will be visible. Then at every turn you will get one new card that you need to place in one of the 5 columns, according to your game plan. However, you need to put 2 cards in each column before you can put 3rd card.. and so on. You can't put 4rd card before all of your columns have 3 cards. All of these cards will be visible to your opponent, however the 5th card will not be visible. After the 5th hand every column is compared to the respective column of the opponent. The column with stronger cards wins. 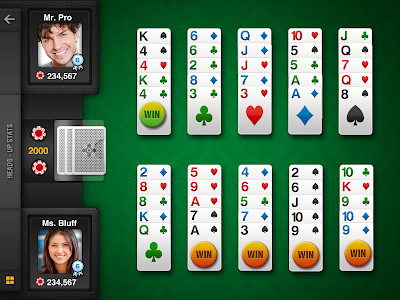 The player with more wining columns, wins the game and takes the chips! The game is called 5:0 poker because you will get extra bonuses if you win in all of 5 columns. The guys from chikki gaming made a lot of ways for you to earn extra chips and there is a great amount of gifts. 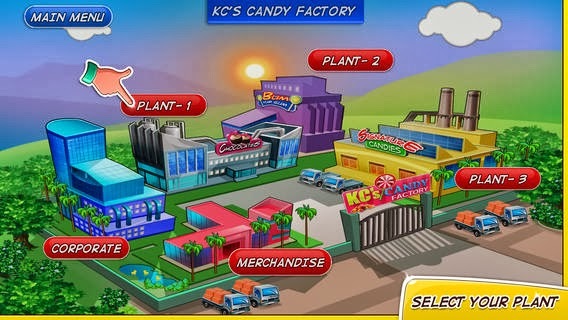 The app looks astonishing on iPhone and iPad, because it has crisp colors and excellent graphics. 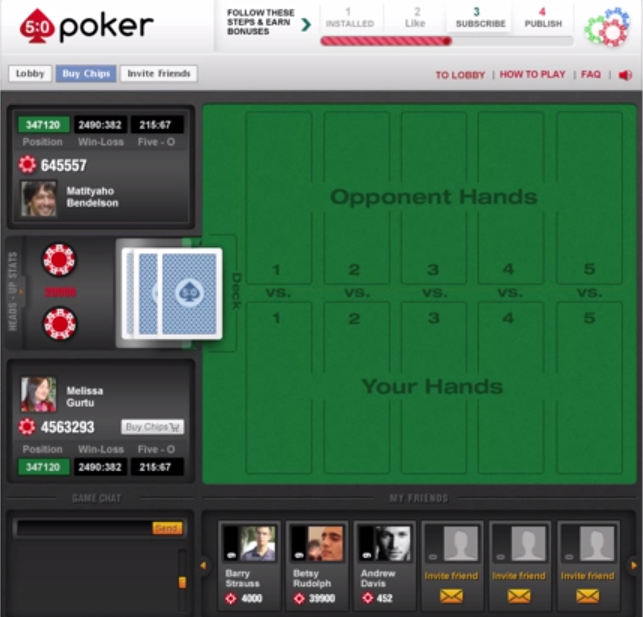 Be sure to try this fun, addictive and interesting unique poker game. Every music professional knows how big SoundCloud is. Basically if you have big success on SoundCloud then the chances for your success in the music industry are basically much bigger. However, it is extremely hard to succeed on this music website, especially for the newbies. So, today we are going to present you one service that will be extremely useful if you want to make it on SoundCloud. The deal is actually very simple, you buy real soundcloud followers, and only followers, but plays as well. They offer 4 different packages that will surely satisfy your needs and budget. For example, the cheapest one is €25 for what you will get 250 followers and 2500 and more plays. They support all music genres and what is also great is that they allow paypal payments. These guys own various music networks where they will actually promote your tracks. So, you will get unique, real plays for your track. Their music websites get over 30,000 unique visitors daily, which surely guarantees you real and quality audience and followers. Behind this project are really marketing and music experienced professionals. Because most of their blogs are for electronic music (70%), this is perfect for that genre. The guys that are working on this site are extremely professional and supportive. For any issue, tip or if you want to just talk you can contact them on their email. As I used one of their packages recently I can guarantee you that they are supportive, kind and they fulfilled my demands professionally. I'm definitely ordering again in the near future. Today we are going to talk about the beautiful Piip. 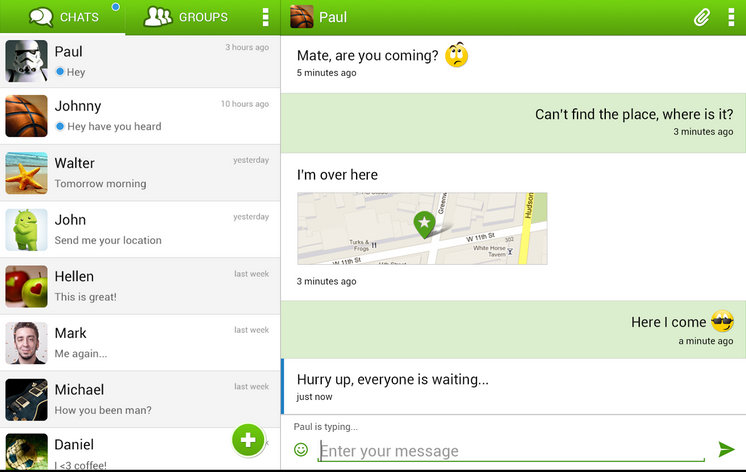 Piip is a cross-platform messenger that will only need the Internet in order to use it. It is totally free and basically it is a desktop, mobile and web-messenger. You can use it on your PC, browser, or on your mobile devices. After you download you need to install it and register with your email (for tablet and PC users), or you will need to make SMS verification, for smartphone users. 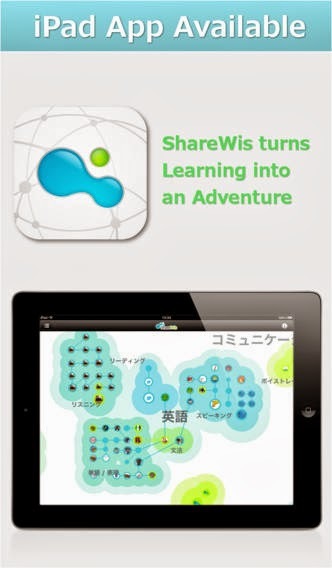 These made this app available basically for every mobile device that it used nowadays. It is available for iPhone, Android smartphones, Windows Phone and BlackBerry, but also for iPads and Android tablets (The version for Windows 8 tablets is still in development). As for the desktop version it is available for the 3 biggest operating systems: Windows, MAC OS X and Linux. After you install Piip on your phone it will automatically find which of your friends that are already in your phone book have Piip on their phone and it will add them. However, for the desktop and the tablet version you will need to manually add your friends in order to start a chat with them. Also, you can write your own status, block any contact, you can create group chats or you can send photos (but not videos, the developers are working on that feature, it will be available in the future) with this reliable and simple messenger. Download it here for any of your desired devices. Hightechholic is not only about technology. 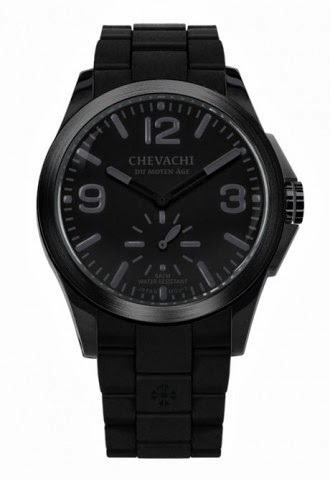 This website also respects elegance and quality and the new watch from Chevachi is just that, elegant and quality. The Eternal Eye is one of the best watches of 2013. It design, material and decoration are just beautiful, classy and perfectly urban. The color of the circle and the stripe are in tone, which gives the watch more sophisticated and luxury look which fits in night and casual occasions. The Eternal Eye is an unisex watch, that means that it is equally elegant for men and women. No matter if you wear it on a dress or with a suit, The Eternal Eye is watch for every occasion. What is great about this watch is that it is available in five colors, black, red, white, blue and grey. Also, it is water-resistant, and its straps are made of silicon, which makes it relatively light, gentle and easy to wear. The Stainless Steel Topring and the Plastic Case on the other hand, are prove of its quality and durability. I especially liked how the arrows are in two colors, that gives greater visibility to the numbers and more urban appearance. 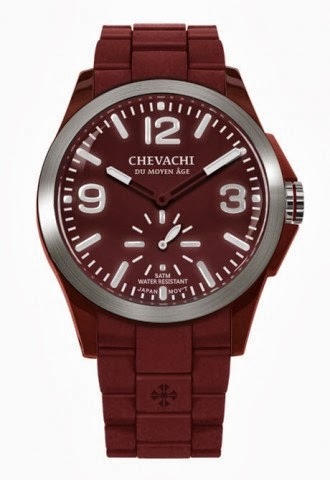 The colors of the circle and the colors of the arrows complement each other, this and the other few decorative elements, for example the Chevachi logo on the strap, are prove that this watch is made carefully and with great dedication to details. The price is low for what you’re getting and pretty affordable for everyone who likes urban and elegant watch. If you like it you can get one here. Every SEO professional wants to have information about his websites, or the websites of his clients, all the time. Sometimes, noticing bad backlink on time can save you from dropping out positions on SERP. SEO Pro will enable you just that, constant overview of your sites. What is great is that You can use SEO pro app along side with many other SEO scripts and tools you currently using right now to save time. SEO Pro will tell you various important information about any desired URL. So, you can follow your competition and follow the SEO score of all of your websites. The developers gave great effort in putting numerous important SEO information. So, lets see what this app will give you info about. You have to admit that that is great amount of information to have on your iPhone or iPad. 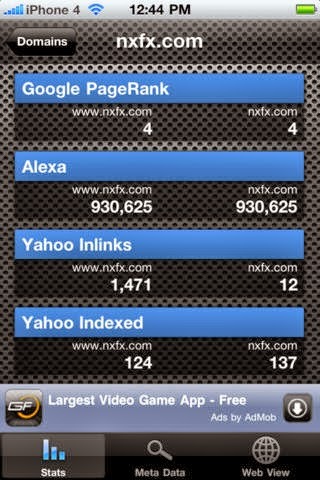 The app is free, but if you want to use countless URLs and get rid from the ads you will have to buy the PRO version. The app's UI is really intuitive. The app is fast, simple and easy to use. I think that every SEO professional should try it! If you want to draw amazing vector illustrations on your iPad, iPod or even iPhone, we are going to present you to one of the best apps for doing just that. Adobe Ideas - Vector Drawing and Illustration will enable you great drawing experience and you can get it for free on the App Store. Produced by the giant Adobe, this app will enable you wide variety of great features that will make the creating of vectors, sketches, drawings and illustrations much more joyful and easy job. Also, Adobe Ideas is great graphic app which web designers can use to build great websites. 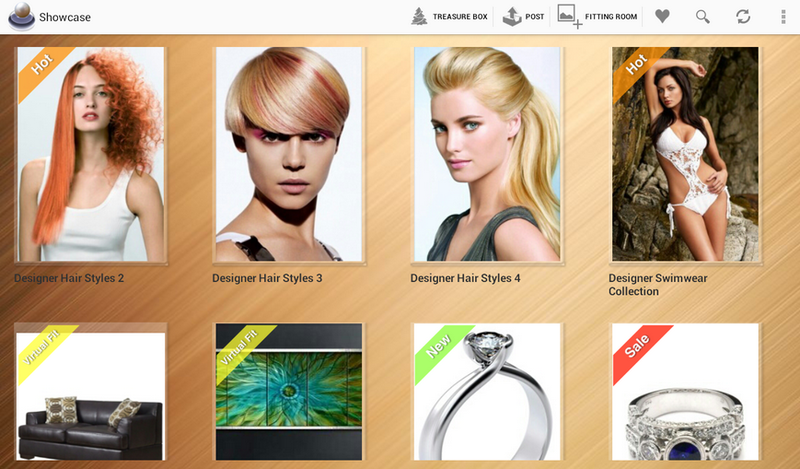 You can customize the toolbar and put only your favorite colors and brushes. The app runs practically flawless and you will draw what you want very fast, because the app has color theme extraction, simple vector drawing tools and you can apply the desire color very quickly with the Paint bucket tool. Additionally, there is eyedropper tool that will enable you to compare and match the colors of your photos or drawings. That is how you will drive your drawing to perfection, especially with the additional HSB and RGB color pickers. Of course there is a eraser tool which will help you to fix and improve your drawings. Adobe Ideas gives you 10 drawing layers and 1 photo layer for each sketch. If you think you messed up your drawing, don't worry there are up to 50 undo/redo moves. 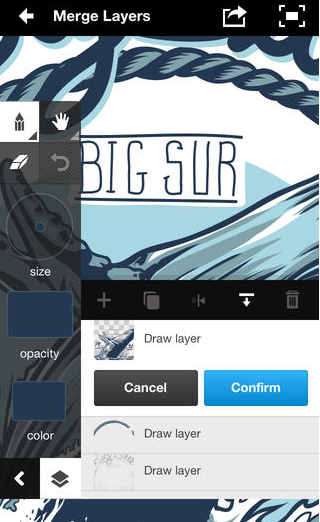 At the end of the day, Adobe Ideas will give you control and precision in your drawings. At least I feel like that when I'm using this app. The drawing tools, the features and how this app is optimized for iPad, iPod and iPhone are just outstanding. Be sure to try it because it is free. Also, there is in-app purchase where for only few dollars you can get creative cloud storage for your drawings and photos. Today we decided to present you String Master, a program that will help you to split one large data source file into 2 or more files in accordance with mask or the sub-strings (the user based criteria). Generally, String Master will help you extract certain desired keywords, mask or sub-strings from extremely large databases. String Master has one of the most simplest and easy to use program interfaces. Everything is simple, light and compact. Source File is where you select the source file on your computer. Buffer Size (lines) is where you enter number of lines which will be stored in sting-buffers during the sorting, before actually being written to the files for each mask you select. The greater the number of lines, the faster the programs works. Depending on the hardware, this value should vary from 1,000 to 10,000. Feedback Intensity Lines is how often the program updates the statistics. If the value is 100, then the statistics will be updated at every 100 lines of the source file. The lower the value is, the statistics will be updated more frequently. 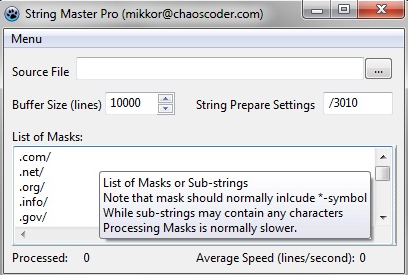 List of masks or sub-strings allows you to enter your desired filters for the processing of the source file. However, their total number cannot exceed 32 for the free version and 256 for the paid one. By default, this list contains 30 domains, but you can add your values as well. There are some great additional features for making the splitting even more detailed and specified, which will satisfy you needs in shorter periods of time. The program can process gigantic large source files (basically the size of the source files is not limited) and it will find the desired keywords or files very fast. String Master is faster and more specified than any other program available on the Internet. If you want to learn about more additional features and try it then go here. With the streaming revolution less than a decade old, it can be easy to underestimate how thoroughly smartphones and tablets have changed our video-consuming habits. What was once firmly relegated to the home is now accessible anywhere in the modern world, and with wireless Internet and Wi-Fi services continuing to reach across the globe, the “modern world” will one day soon encompass the entire planet. The astonishingly-fast pace of modern technological development has put certain developing countries through decades of progress in a few short years. As a result, certain cultural norms that were standard practice in nations that industrialized more slowly have been completely skipped over, and one of these norms is watching video via television. Smartphones are starting to thrive in places around the world that don’t yet have paved roads, indoor plumbing, or even regular access to electricity, allowing people to stream video when they have the battery life and Internet access for it, leaving television screens completely out of the process. Streaming video is now available on practically every entertainment device on the market: Blu-ray players, digital cable boxes, gaming consoles, traditional PCs, smartphones, tablets—even certain kitchen appliances with digital functionality. However saturated the world is with entertainment devices, a common fact of human nature is that we frequently use what we’re familiar and comfortable with. For older generations, this usually means a standard television or PC, but with many younger people—particularly Generation Z, those born in 1995 or later—mobile devices are their primary way of accessing the Internet, and consequently become their preferred method for video streaming. A short time ago, serious video streaming was the realm of Netflix, YouTube, Hulu, and a handful of other outlets. Now, it seems like every major entertainment source has an app for video streaming, including many cable and satellite companies. When even the former kings of the living room make it possible for you to take your entertainment with you on the go, you know that the world has gone mobile. Catching 90-second YouTube clips via email forwards, watching instructional videos and teleconferencing at work, and our overall experience with streaming on the Internet has made it common practice to watch video anytime we’re online. This same infrastructure—which was originally developed to support short videos and summarized clips of news and entertainment—created the perfect network for streaming long form video, such as television shows and movies. The cultural acceptance of watching video online—combined with the technology that makes the requisite broadband speeds possible—has created an environment where consuming video on mobile devices is perfectly natural and accepted, and one day soon may even be the dominant method worldwide. Time will tell if mobile devices become the culturally preferred method for video streaming; and indeed if such a change does occur, it may be primarily the result of generational upheaval, as those born with tablets or smartphones in their hands grow into adulthood and become the dominant consumer base that drives marketing trends. But in the meantime, mobile video streaming has spread throughout the entire world, and will likely continue its exponential growth. John is a blogger who still remembers attempting to streaming movie trailers on a 33k dial-up modem. He writes for protectyourbubble.com, an Internet insurer that can protect your mobile device from drops, spills, theft, loss, and everything else that can happen while you’re watching your favorite shows on the go. GTA V is probably the game of 2013. It's like a some kind of fever. I personally spend hundreds of hours playing it since the release back in September. Today we are going to present you the best cheats, already tried by me, which will help you to enjoy your GTA V much more. What is great is that they work on Xbox and Playstation 3 as well. 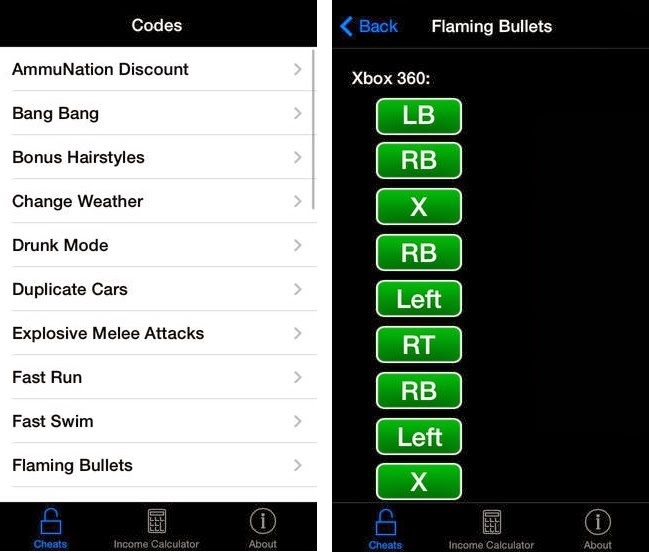 The game has all the latest cheats, so you will constantly get new cheats on your iPhone or iPad. Also, there are game play screen shots for every cheat, so you will know how to implement the cheats because there will be demonstration for it. There also countless useful tips which will make you master of GTA V.
On top of that, there is in-app income calculator which will enable you to calculate your weekly earnings, and calculate earnings separately for Franklin, Michael and Trevor. Pretty neat, right? The app gets updates very frequently and it is currently #1 entertainment app in various countries and it is in the Top 10 entertainment apps in US. Today we are going to present you one really fun and new game called Get Got GO. It's a very interesting and exciting brain and puzzle game. You can play it solo, or you can play it online against random players or your friends. Simplicity is what I liked most about this game. After, you install it you must register and then you can start playing, either solo (only in paid version), with friends or with random people that also have the game installed. When you choose to play against other players, you must put in chips that you already have. The person who wins the game, wins the chips, it is simple as that. After the game starts you got 3 minutes to create words. 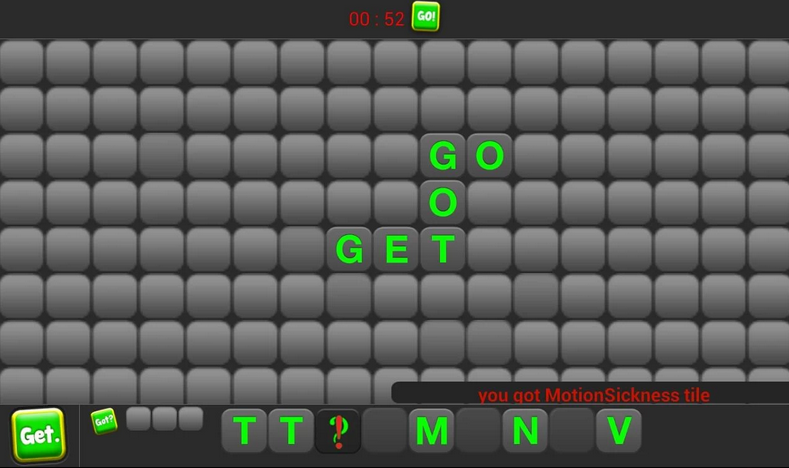 If you click on the green "Get" button, you will get more letters. What is great, is that you don't have to wait for your opponent to play. You will play your games separately. After the game is finished you can see what words he created and see his whole game. The person who creates the most words, wins. After the game is finished you can see detailed analysis about every point. The UI of the app is simple and smooth. You will move the tiles and the letters with single taps. Everything is responsive and polished, that makes the game even more fun to play. If you want to get rid from ads and play in solo mode as well, you'll need to by the Pro version which only costs 0.99$. Today we are going to present you one of the best SLR/RPG games available on Google Play for free. Actually this game was one of the best rated overall games on Google Play. 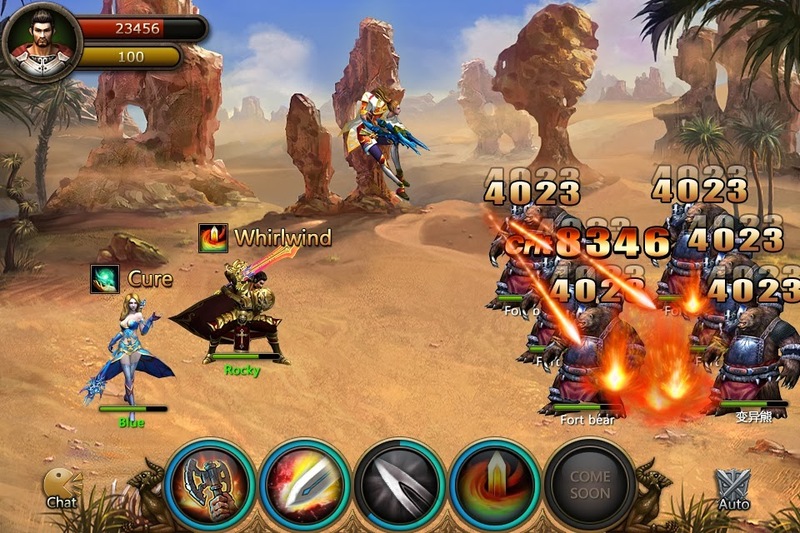 Legend Online: Dragons will enable you one of the most exciting mobile SLG & MMORPG experience that you will ever find for Android. 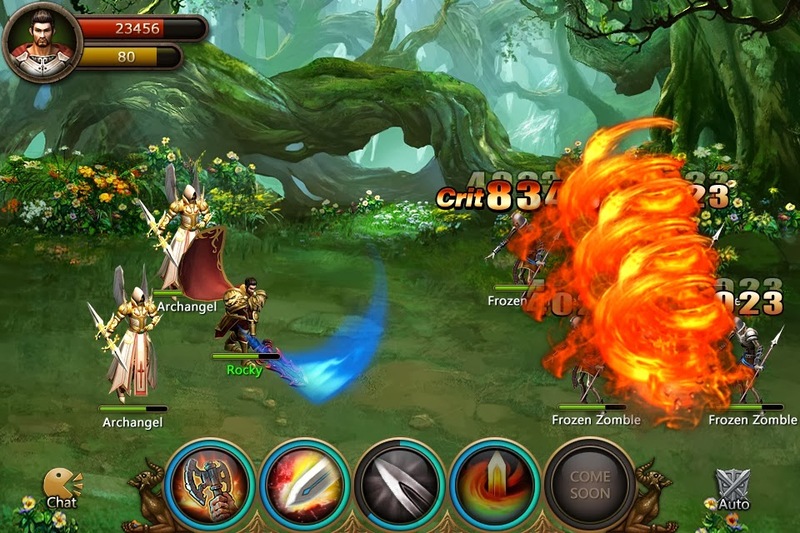 This multiplayer game will take you in one astonishing world of fantasy. After you choose your hero you can battle in Solo Dungeons, Group Dungeons (know that Group Dungeons give better gear), the Devil City, or the PvP Arena. Everything is detailed, creatively designed and the graphics is just flawless. After you install the game you'll need to choose your hero and then the magic starts. You'll just need to follow instructions and enjoy the game. You can choose from 3 heroes: the mage, the archer and the warrior. As in all other similar games, every hero has his strengths and weaknesses. Then, as your heroes upgrades, you can upgrade your Town Hall. The Town Hall is the most important thing in your game. Why? Because, all other upgrades depend on the town hall. When you clear dungeons you will find more gear. You can also compete against other players in the Arena and win gear as well. 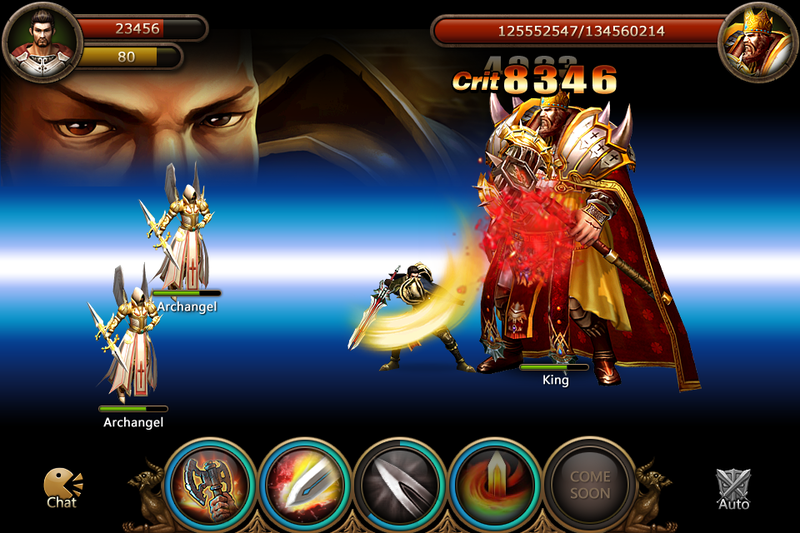 Legends Online: Dragons enables you to hire your own troops as well as upgrade them. Also, your chosen hero can wear about 10 pieces of armor, each with its own unique stats. As the developers say, this is a unique world of warring kings, mythical dangers and fantastic beasts, which the quality and exquisite graphics, and the great engaging and inspiring music make it even more interesting and addictive. You will definitely enjoy the gameplay and the fights in this game. 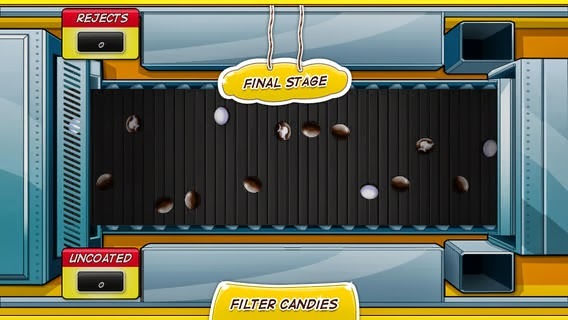 Have a sneak peak from the game bellow and download it here for free. Most of the times finding a parking spot is really frustrating. That is fact, especially in the urban areas with a lot of buildings and crazy traffic. So, hightechholic.com today decided to present you one app that will resolve all your parking problems. ParkWhiz is free transportation app that is available on Google Play. The app will enable you to save time and money with their in-app booking. Practically, this app guarantees you a spot in the 2000 locations that they cover across the United States. Isn't that great? You will know the price and you will be assured that you will have where to park your car. That is especially important if you go to some big event, like concert or sport game. The app works in a very simple manner. It recognizes your Location, or you can enter desired location, and it will show you all parking places near that location. It will also include the prices, so you can select the price that suits you the most. After you choose certain parking spot and the time you will park your car there, it will give you information about the parking lot and it will explain its location in details. The app offers special online rates, which will save you money. You can pay with mobile passes and you will need to place that ParkWhiz mobile pass on the dashboard. Then a patrolling attendant will validate your parking. It is simple as that. Simple, but very helpful and useful app. 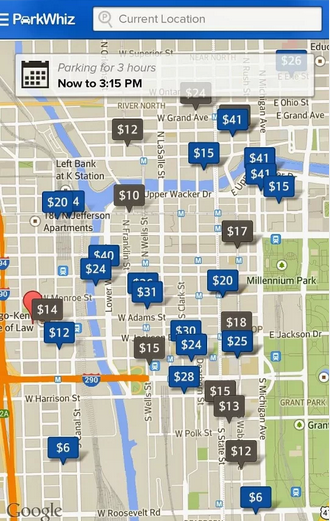 If you are from USA, then try ParkWhiz Android parking app for free. Contactive - Beautiful and appealing phone book and Caller ID that is quality and useful at the same time..
Every experienced Android user knows that the phone book and caller lack in features and design. There are many alternatives on Google Play that provide more features and offer better and more beautiful UI and design. Contactive is surely one of the best. Not only because of the design and UI, but also because of the numerous features this app offers and the fact that it is totally free. The keypad is simple, elegant, with beautiful grey lines and big green call key. Left to the call key is the search button where you can search your contacts and right to it is where you add contacts and change various settings. On top of the keypad you can add your favorite contacts and call them instantly. You can make quick calls to your favorites or your recent calls. To every contact you can add their Google, Facebook, Twitter or Linkedin profile. But, in order to do so you must sync and connect your accounts to the desired Social Media accounts. This is great because you can check what's new on the social media profiles of your favorite people, right from the app. You can call (phone or Skype) or message (Skype, Viber, WhatsApp, Facebook) any contact directly from Contactive. Every contact can be shared via Bluetooth, Dropbox, Gmail etc. The app automatically creates lists from your Social Media accounts. But, you can also create your custom lists where you can add certain people like close friends and family. The updates refer to Facebook where you will get important updates from your friends. 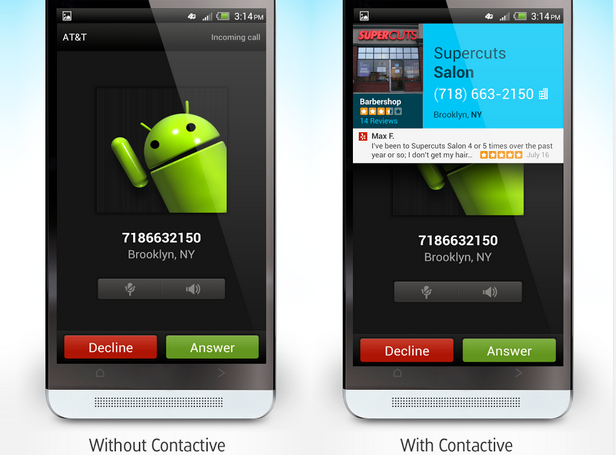 Contactive is also one of the best available Caller IDs. It will take data from your Social media networks, publicly available sources, and Contactive’s Global Directory. This will help you detect unwanted calls from spammers, banks and advertisers for example. 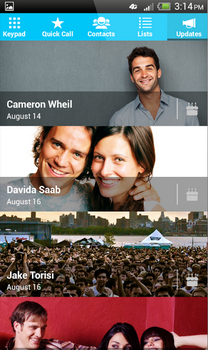 Overall, this app is very useful to people that use their Android smartphones very often. It will make you more productive and it will make the communication with your friends and family much smoother, pleasant and beautiful experience. Download it for free on Google Play. Hightechholic.com always tends to present you unique, quality and useful software that will help you to save time, money and be more effective. Thus, today we are going to present you such software application. It will certainly save you time and money if you hire employees and freelancers on the Internet very often. Also, because it is a web app, you can access it from any computer that has Internet connection. We all know that most of the online tasks are paid hourly. Sites like eLance or oDesk enable to freelancers and job seekers to ask for hourly rates. So, if you hire some designer, programmer or developer for hourly rate job you can't really know how much time did he actually spend in working for the given job. Worker Wise will enable you just that! It is an software created for the employers that collaborate with freelancers and online workers frequently. Worker Wise will accurately count how much time your workers did actually spent for working on your projects or tasks. With that you will save money, because you will not pay for the minutes or hours your worker didn't work. You will save time as well, because when the worker will be monitored he will tend to do the job faster and better. After you sign up you can start using Worker Wise. You will need to invite your workers to your dashboard and they need to sign up as well. When they start working this web app starts recording and makes numerous screenshots of the workers activity. That is how you will see what your workers are actually doing while working on your projects. They can pause the recording when they are not working and that is how the work time count will be extremely precise. What is also great, is that the creators of Worker Wise offer 30 day free trial. Thus, you can check if the software really fits you and does it really help you. I have no doubt that if you really need it, you will be extremely satisfied. Try it here. We all love big and thin LCD monitors on our desks. They look beautiful and attractive. However, the dust and other dirt could ruin them. They could lose brightness and they can be damaged. Today we are going to present you one of the best monitor cover available on Amazon. It will help you protect the smallest 15" LCD monitors, but you can also purchase the biggest and most expensive 26" LCD monitors. 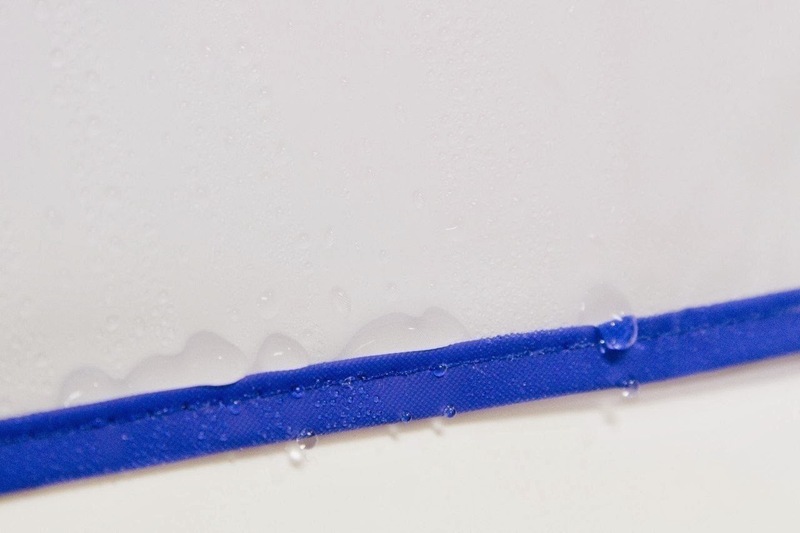 smooth antistatic vinyl which is dust and water resistant. The material is also toxicity free, environmentally friendly (that means that it has Recyclable EVA material) and cold resistant. They also put a lot of attention in the design. It is simple, with elegant blue lines that makes it to look more appealing. It looks professional and the material also gives you luxury feeling. The dimensions are perfectly designed so they will definitely fit and protect your monitor. This company is one of the best in this niche. 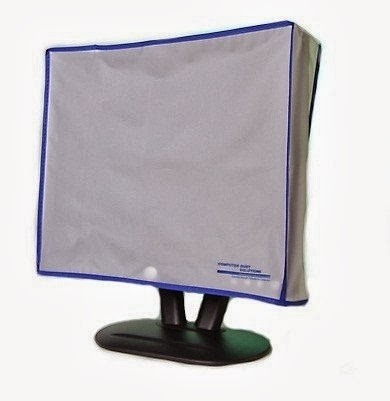 They also have more monitor covers for different types of monitors like CRT monitors or even for LCD Flat Screen TVs. If you want to check them out go here. I've always been fan of vivid, colorful and lively games with exceptionally sharp graphics. Well, Minox - Pet Battle Adventure is just a game like that. It is one of the most interesting adventure games I've ever played. So, lets see what the game is all about. After you download it and register, you'll need to pick your name, looks and some additional info. Also, you'll need to pick a pet you will train. Then you will start the game and you just need to follow the instructions from the master trainer called Azerius. This will be little introduction to the game. After that you will start the journey with your chosen pet. 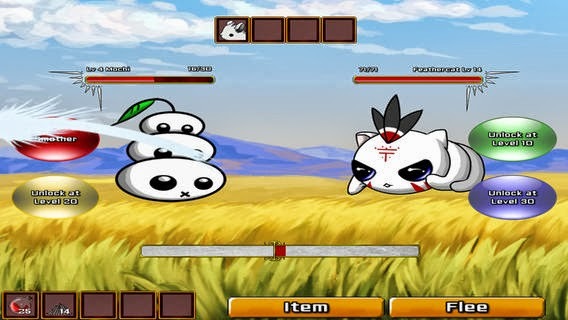 You will meet different obstacles and creatures to fight with. When you go into a certain creature, then your pet goes into a pet battle with him. You will have different weapons to choose from in order to win this battle. The precision is also one of the keys to win your battles. After you finish the battles, depending on your results, your pet will earn you experience and gold. You will need the gold in order to buy stronger weapons and equipment, because as you progress the battle become stronger and stronger. Also, you can choose various pets and change them throughout the game. The game can take you to 5 towns to explore and it has over 100 levels and 70 NPC quests to complete. Overall, this game is very addictive, dynamic and interesting. The developers did create one interesting and imaginative world full of various creatures and pets. It is an adventure game that you will have hard time turning off. I played it for 3 hours straight the other day. Get it for free on the App Store.